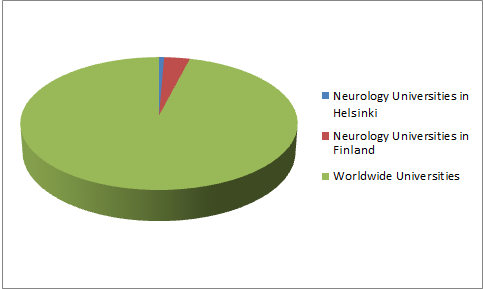 On behalf of the Scientific Committee, we are honoured to invite you to World Neuron Congress to be held in the Helsinki, Finland during November 26-28, 2018. The Theme of the World Neuron Congress is “Scientific quest to enhance the mystified and fascinating Neurons", which covers wide range of critically important sessions in the field of Neurology, Neuroncology, Brain Cancer and Imaging. Objective of this meeting is to share the foremost updated knowledge on the neurology and the novel therapeutic options in Cancer treatment. 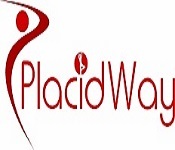 We will gather academicians and young inspired scientists from all around the world involved in researches at the cutting edge in the study of the neurology and oncology. 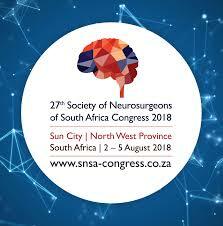 The conference proceedings will include seminars, symposiums, Oral Presentations, workshops and Poster Presentations on the latest treatment innovations in the field of Neurology, Oncology, Neurosurgery, Brain Stroke, Medical Imaging, and Cancer by experts from both Academic and Business background. World Neuron Congress committed to create real and reliable contributions to the scientific community. 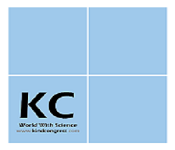 ME Conference organize 2000+ Conferences once a year across USA, Canada , Mexico, Europe, Georgia, Middle East & Asia Pacific with support from a thousand additional scientific societies and Publishes 900+ Open access journals that contains over thousands eminent personalities, putative scientists as editorial board members. The Neuron 2018 in Finland gives us the inkling of about 14 countries from Europe in many aspect and underpinning of European civilization. When it comes to health care sectors Finland plays a vital role among all by offering universal health care system. The state assets primary, secondary and tertiary healthcare for their citizens followed by public health campaigns which is self-reliantly funded by the of Finland government. The Finland growth institute was renowned in the ministry of science and technology that has equipped a long-term plan of science and technology for the following century which considered some accessible resources. Same way Finland also was selected for its advantage areas, proving different drugs, vaccines and in the field of neurology. Henceforth Finland stays as a fascinating country. 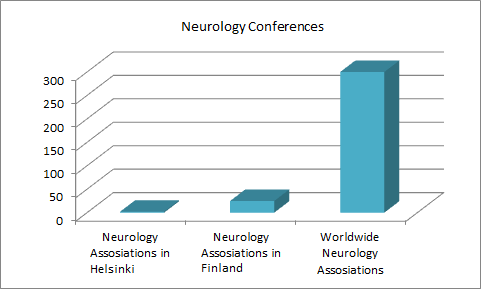 World Neuron Congress is a unique forum to bring worldwide distinguished academics in the field of Neuroscience, Neuroncology, Neuropsychiatry and Neurology, neurologists, Brain Tumours, Neurosurgery and Public Mental health. Neuron 2018 is a kind of gathering to unite overall recognized scholastics, Brain analysts, general wellbeing experts, researchers, scholastic researchers, industry specialists, researchers, scientists, academic scientists, industry researchers, scholars to trade about best in class research and to exchange about state of the art research and technologies. Aim of this conference is stimulate new ideas in the treatment of neuron diseases that will be beneficial across the spectrum of Neuron 2018. 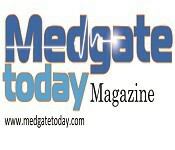 Neurology is a branch of medical science that is concerned with disorders and diseases in the nervous system. Neurology involves the study of the central nervous system, the peripheral nervous system and the autonomic nervous system and structural and functional disorders of the nervous system ranging from birth defects through to degenerative. Essential cerebrum tumours can be either harmful (contain growth cells) or considerate (don't contain disease cells). An essential mind tumour is a tumour which starts in the cerebrum. In the event that a destructive tumour which begins somewhere else in the body sends cells which wind up developing in the cerebrum, such tumours are then called optional or metastatic mind tumours. This talk is centred around essential cerebrum tumours. Mind tumours can happen at any age. The correct reason for cerebrum tumours is not clear. The manifestations of cerebrum tumours rely on upon their size, sort, and area. The most widely recognized side effects of mind tumours incorporate cerebral pains; deadness or shivering in the arms or legs; seizures, memory issues; state of mind and identity changes; adjust and strolling issues; sickness and regurgitating; changes in discourse, vision, or hearing. 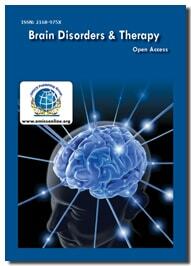 Neurophysiology is extensively defined as the study of nervous system function. In this area, scientists look into the central and peripheral nervous systems at the extent of whole organs, cellular networks, single cells, or even subcellular compartments. A unifying feature of this extensive-ranging area is an interest inside the mechanisms that result in the generation and propagation of electrical impulses inside and among neurons. This subject is essential not only for our knowledge of the captivating techniques using human thought, but also for our potential to diagnose and deal with disorders related to nervous system malfunction. Neurochemistry deals with the outstanding chemistry that happens within the brain, nervous system and the nerve cell with which it communicates. The phenomenon of chemistry that generates electric signals which propagate along nerve cells and the chemistry at the synapse through neurotransmitters are the prime locations. 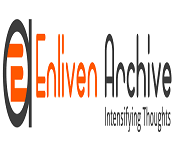 Strong research work on brain and its effect on behaviour and cognitive capabilities will portray the neurochemical behaviour and illness due to chemical imbalance in order to explore the possibilities of advances inside the discipline of neurosciences and disorders. Neuropsychiatry is the combination of Psychiatry and Neurology that deals with mental disorders, which in most cases can be shown to have their origin from an identifiable brain malfunction. Psychiatrists have laid claim to illnesses of the mind. 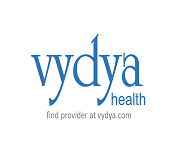 Major Neuropsychiatric Conditions include the following: Addictions, Childhood and development, Eating disorders, Degenerative diseases, Mood disorders, Neurotic disorders, Psychosis & Sleep disorders. The mature nervous system comes into being in the course of embryonic and post-embryonic development due to a sequence of developmental programs that consist of the start of nerve cells and their assisting (glia) cells, the migration of those cells to defined locations inside the developing nervous tissue, the establishment of connections of those cells to particular target regions, and selective neuronal cell death. As soon as established, we now recognise that the mature nervous system reveals a great degree of plasticity, changing in response to experience and use. Information received in research of the factors that have an effect on nervous system development and plasticity can also provide a key closer to unlocking the capacity of the mature nervous system. 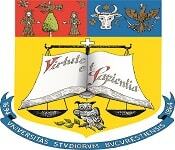 Behavioural Neurology publishes original experimental papers and case reports dealing with disordered human behaviour. These embrace the field of cognitive neurology, biological psychiatry, neuropsychology and cognitive neuroscience. The emphasis of the approach is on lesion and imaging studies that explore abnormal human cognition and behaviour. 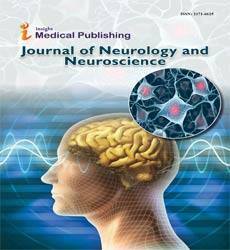 The journal embraces matters of interest to clinicians, such as behavioural neurologists and neuropsychiatrists, and cognitive neuroscientists, such as neuropsychologists, neuropathologists, neurochemists, psychopharmacologists and metabolic scientists with a special interest in human neurological disorders. Molecular neuroscience is a branch of neuroscience that observes concepts in molecular biology applied to the nervous systems of animals. The scope of this subject covers topics such as molecular neuroanatomy, mechanisms of molecular signalling in the nervous system, the effects of genetics and epigenetics on neuronal development, and the molecular basis for neuroplasticity and neurodegenerative diseases. As with molecular biology, molecular neuroscience is a relatively new field that is considerably dynamic. Cellular neuroscience is the study of neurons at a cellular level. This includes morphology and physiological properties of single neurons. Several techniques such as intracellular recording, patch-clamp, and voltage-clamp technique, pharmacology, confocal imaging, molecular biology, two photon laser scanning microscopy and Ca2+ imaging have been used to study activity at the cellular level. Cellular neuroscience examines the various types of neurons, the functions of different neurons, the influence of neurons upon each other, how neurons work together. 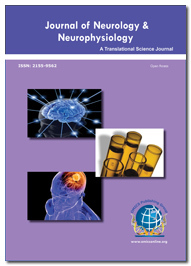 Neuropharmacology discusses the drug-induced changes in functioning of the nervous system. The specific focus on this will be to provide a description of the molecular and cellular actions of drugs on synaptic transmission. Refer to specific diseases of the nervous system and their treatment in addition to giving an overview of the techniques used for the study of neuropharmacology. Clinical and surgical examination which deals with the neurological treatment of specific disorders related to brain, spinal cord, peripheral nerves, and extra-cranial cerebrovascular system is termed as neurosurgery. Emergencies like intracranial haemorrhage and neuro trauma are basically involved in most of the neurosurgery. Intracerebral haemorrhage being the main cause of morbidity and mortality, results in affecting between 37 000 and 52 400 patients annually in the United States. 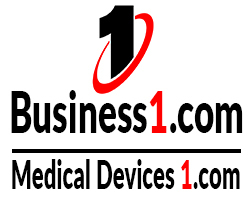 By the year 2020, Global Interventional Neurology Market is expected to reach $2,370.4 Million, expected to have a CAGR of 8.4% from 2015 to 2020. Recent advances in surgical technology have meant that the focus of treatment for spinal conditions has progressed towards preservation of normal spinal motion and sparing of structures adjacent to problem areas. Some of the crucial types of neurosurgery includes vascular neurosurgery and endovascular neurosurgery, stereotactic neurosurgery, functional neurosurgery, and epilepsy surgery, brain tumour, oncological neurosurgery, skull base surgery, spinal neurosurgery, peripheral nerve surgery. Neurotrauma is a vital public health problem that deserves the attention of the world's health network. Estimates of brain and spinal cord damage incidence imply that those injuries purpose extensive losses to individuals, families, and groups. They bring about a huge number of deaths and impairments leading to everlasting disabilities. Research has also proven that traumatic brain injury (TBI) generally requires long-term care and consequently incurs financial value to health systems. Because of this, many countries need to expand surveillance structures and conduct epidemiologic research to measure the effect of neurotrauma among their people to guide the development of more powerful preventive techniques. Some of methods have already proven effective. Neuropathology is the study of central and peripheral nervous tissue in adults and children. The primary concern is the diagnosis of brain tumours, and neuropathologists are often able to give a preliminary diagnosis to the neurosurgeon while the patient is still on the operating table. Opinions, involving interpretation of special stains and molecular tests, will guide other members of the multidisciplinary team when deciding upon treatment strategies. Most work is on the living, but neuropathologists are also responsible for post-mortem brain analysis, for example to categorise forms of dementia, investigate possible genetic conditions, and assess trauma. They look at muscle to diagnose inherited and acquired muscle diseases, alongside peripheral nerve samples and occasionally ophthalmic specimens. Neurodegeneration refers to the severe damage that occurs in the central nervous system to the structure and function of neurons that pave the way to the demise of neurons. It results in diseases that completely demolish the motor neurons, where motor neurons are the nerve cells that create the way involving the electrical impulses from the brain to the spinal cord. Infections and traumatic brain injuries lead to acute inflammation of the central nervous system known as neuroinflammation. Chronic inflammations are integrated with neurodegenerative diseases. Recent research has found the inflammatory process is being closely linked with multiple neurodegenerative pathways, which are linked to depression. Accordingly, pro-inflammatory cytokines play a major role in the pathophysiology of depression and dementia. These data proves that pro-inflammatory agents are the causative effects of neuroinflammation. Neuroinformatics is the most recent addition to the world of Neurology. This discipline is basically the combination of informatics and brain research. The informatics part deals with the enormous amount of data handling and processing while the brain research ends up in providing millions of data out of its experiments.. Neuroscience is rich in diversity, comprising of numerous and different sub-disciplines of neuropsychology and cognitive neuroscience. The main aim of Neuroinformatics is to develop tools to manage, share, model and analyse data obtained from Neurological studies. World Neuron Congress is an annual meeting of Neuroscience organizations as well as Neurology committees to discuss the future of the Neurological disorders in terms of collaboration, structures and organizational development. A Neuron disease has become a growing threat, because of the demographic change and the resulting increase in the elderly populations. Each year 600,000 people are newly diagnosed with the neurological condition. 19% of hospital admissions are for the treatment of neurological problem from a neurologist or neurosurgeon mostly for stroke, epilepsy, dementia, and head injury. Worldwide there is an over 46 million Alzheimer’s patients and in India over 4 million people are suffering with some type of dementia and the number is estimated to rise to about 131.5 million by 2050. 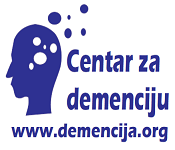 Mental health and research on neuropsychiatric diseases were priorities, with more than EUR 280 million invested since 2007. Brain diseases account for 35% of the overall disease burden and the cost European society almost euro 400 billion per year. Neurological and psychiatric disorders affect a growing number of individuals, nearly, one in five Americans in a year and about two billion people globally. 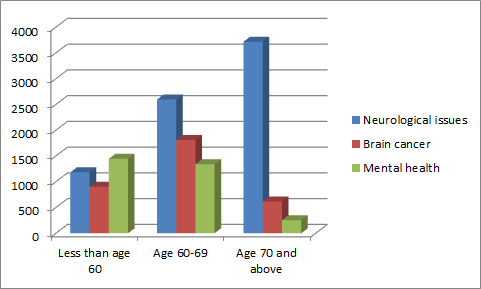 According to neurological survey the middle age group (Age 60-69) suffer more due to neuron diseases. 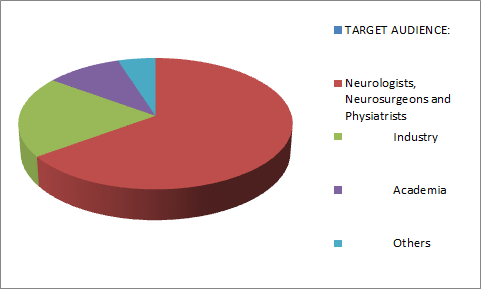 Geographically, neuron disease drugs market has been segmented into the 10 major regions: Germany, Switzerland, Italy, Russia, Spain, U.K., Switzerland, Netherlands, France, Poland and Rest of the Europe. The market for the neurological disorder drugs has been extensively analysed which is based on their usefulness, effectiveness, sales revenue and also geographic presence. 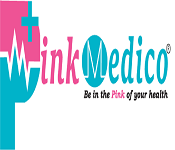 The market size and the forecast in terms of US$ for each disorder, and drug class, distribution channel as well as the geographic regions has been provided for the period of 2016 to 2024. 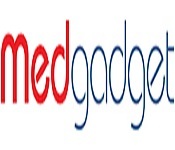 Report on this neurological disorder drugs market also provides the compound annual growth rate (CAGR %) for the each market segment for the forecast period from 2016 to 2024, considering the 2015 as the base year. 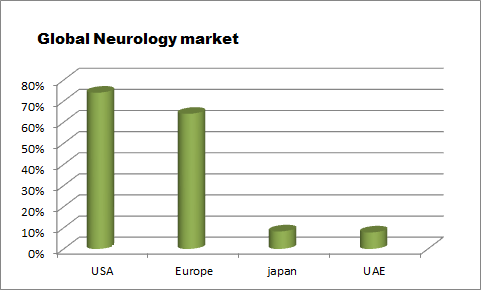 The Global Neurology market contributes to $34.5 billion which includes major countries such as USA (74%), Europe (64%), japan (8.3%), and UAE (7.8%). It was a fantastic meeting. Lectures were very illuminating and exciting. I think all the participants had a great time. Thank you giving me this opportunity to be part of this exciting conference. I have thoroughly enjoyed the conference, and I am glad that I have been able to attend and contribute to its success. Presentations were interesting and well prepared. Participants were knowledgeable and active. Overall, it was an interesting and successful conference. "Thank you for a well-organized Brain Disorders Conference"
"Conferences like this one may help to speed up the development of effective therapies for neurodegenerative diseases like Alzheimer’s disease"
"The priority aim of this conference is also be to deepen our understanding around the interrelationship of addictive disorder between each other, as well as with mental health, Addiction Psychiatry, family, community and culture"